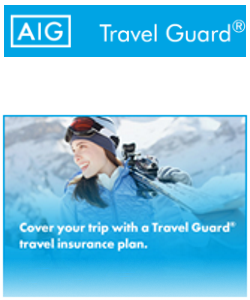 For those who would like travel insurance, we have included Travel Guard’s Trip Insurance plan. Save 20% on your rentals for any trip with Alpine Ski Club. Please bring this coupon and your trip confirmation with you for discounts. Discount of 20% for rental of ski or snowboard equipment for out of state trips. Please bring in trip confirmation for discount. 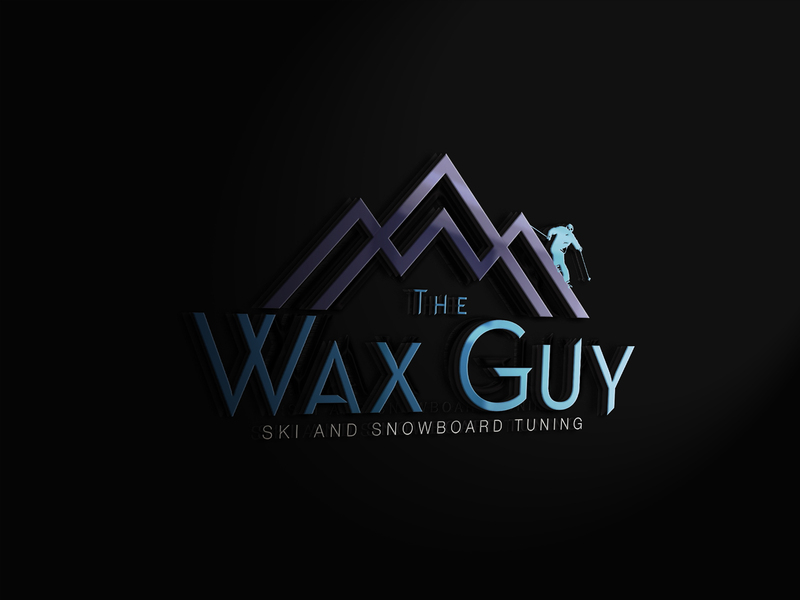 $25.00 for precision hand tuning and hot wax for skis or snowboards. Price includes: base clean and prep, base edge tune, side edge tune, p-tex, structure, hot wax, scrape and brush. Your home for foot orthotics, braces, and expert advice. With over 35 years experience caring for elite athletes. Let us keep you on the slopes! Renting in Telluride ensures the highest quality of service for your ski trip. You can rent, return and exchange at any of our locations. We also offer FREE overnight ski storage at all of our locations. With your Alpine Ski Club discount of 40% off, renting in Telluride is as affordable as it is easy. 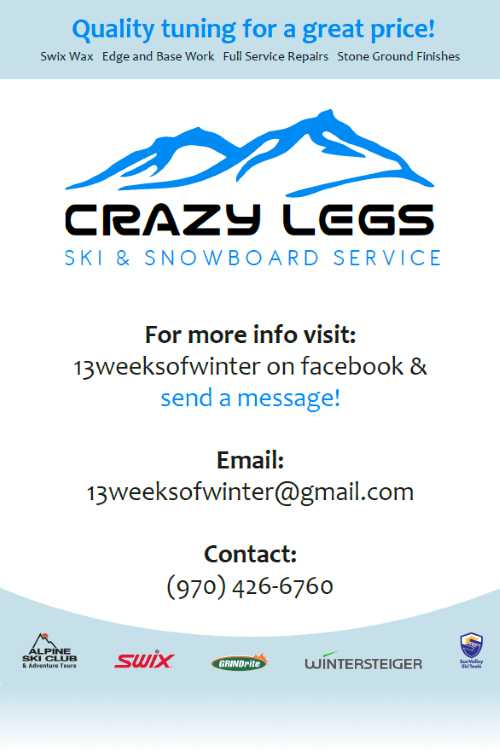 Full service ski & snowboard shop with the newest rental fleet in the region. Visit http://rental.christysports.com/alpineskiclub to take advantage of our special 36% discount to Alpine Ski Club members. Code is "Alpine Daze". No hassle, no waiting in lines, free overnight ski storage. Door 2 Door by Christy Sports delivers your ski and/or snowboard rentals to your Telluride lodge or home. Morning Max 4 - 9 am-11 am - $75 (maximum of 4 people. No Beginners. Just show your lift ticket for these group ski school discounts. Receive 20% off purchases. Valid for sales & rentals. Some restrictions may apply. Present coupon for discount. One free soda or $2 off a draft beer with the purchase of an entree, small pizza, burger, or sub. 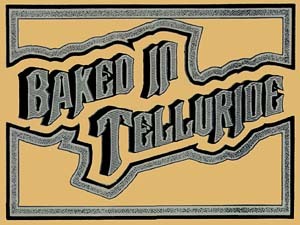 Voted Best Pizza In Telluride. Free Choice of a Pot of Herbal Tea, a Hot Sake carafe, or a soft drink for Alpine Ski Club Members. 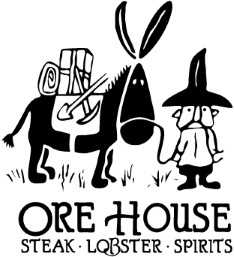 Ore House is located at 147 E. College Dr, Durango. Free appetizer or dessert with the purchase of 2 entrees for Alpine Ski Club Members! with Purchase of any two Entrees.